Nothing tastes as good as homemade, except getting to eat dessert much sooner because you used a pre-made pie shell. Just call me Sandra Lee, because even though the original recipe called for a delicate tart crust, I swapped that sucker out for something pre-made. I ate it all before I even had a chance to run to the grocery store for vanilla ice cream or whipped cream for topping, but I suggest you plan ahead and buy those now! The recipe couldn’t be easier. 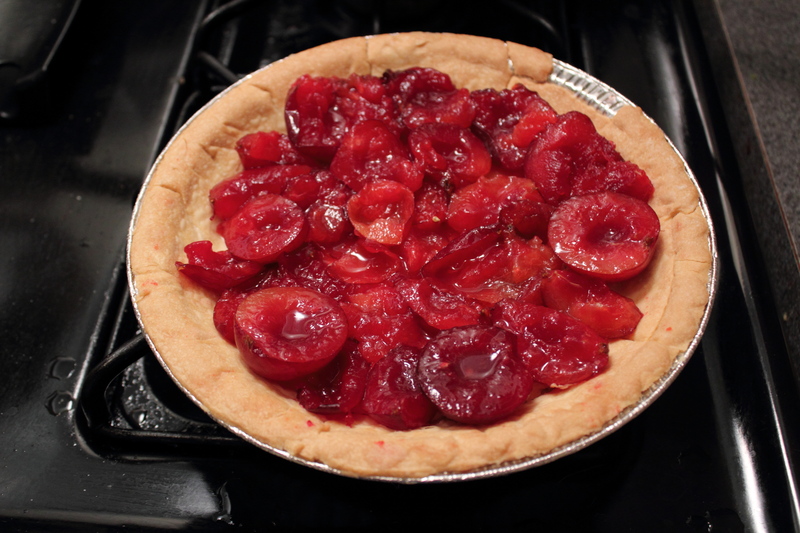 The hardest part was halving the ripe plums and placing them in the pre-baked pie shell without mangling them into a pulp. Even if they’re not perfectly cut, piling a bunch of sugar on top and baking it for 45 minutes means the details are mostly lost. I didn’t do a great job getting the cinnamon sugar mixture on evenly, but as the tart sits, it gets incorporated into the plums. The final product, with unabsorbed sugar. If you can wait that long before digging in, that is. 1. Pre-bake pie shell according to instructions. Let cool. 2. 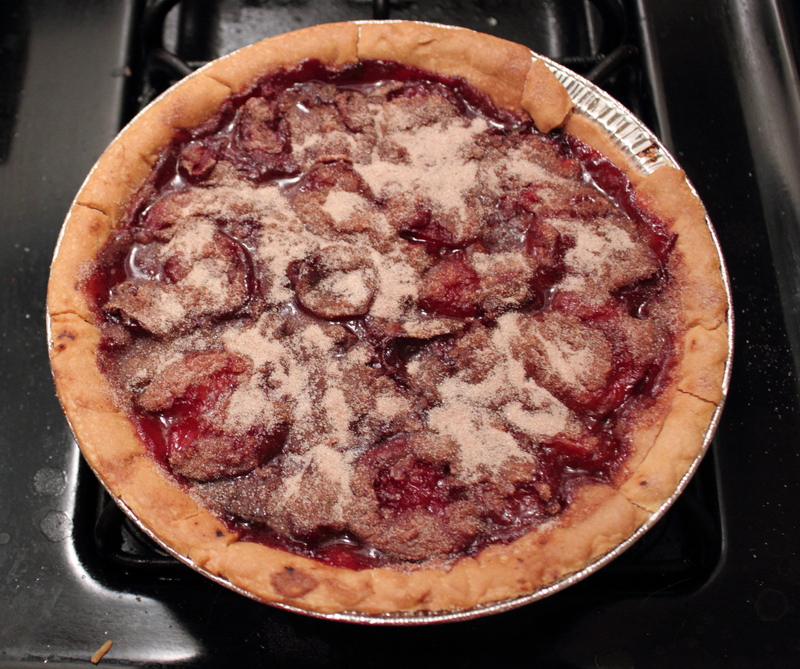 Halve plums and place, slightly overlapping, in pie shell cut side up. 3. Mix sugar and cinnamon and pour over the plums. 4. Bake at 350F for 45 minutes, until filling is boiling.